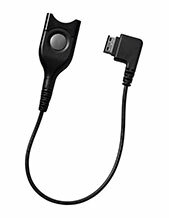 Plantronics HIX-10, H-Top Adaptor Cable (For Avaya) is a direct connection cord and is used for Plantronics headsets towards specific Avaya series phones. 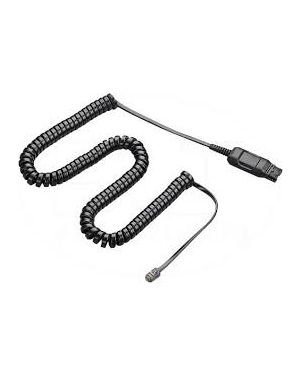 Without the need for an amplifier, this device can be connected to the headset port of the phone easily, especially with its Quick Disconnect feature. 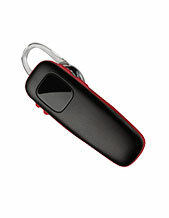 It is an improved audio quality from the previous product, Plantronics HIC-1 Cord. Call Australia wide 1300 131 133 to have this device delivered to your doorstep at your desired date! Established in the year 1961, Plantronics is an incredible developer and manufacturer of lightweight headsets and considered to be the first ever enterprise to do so successfully. The company is led by the expertise of President and CEO Joe Burton and approximately 5,000 employees all over the world. Plantronics operates in the global market through around 80 countries with the help of many of the company’s phone and service providers, original equipment manufacturers (OEMs), wireless carriers, retailers, and distributors. These countries are located all over the Asia Pacific region, Europe, and North America. Headsetsonline Pty Ltd is an Australian supplier and wholesaler of audio and sound products and solutions all over the company. 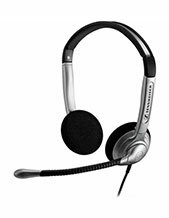 While it is now considered one of the most reliable enterprises in the industry under this specific expertise, it is known to be a part of a popular company that provides corporate sectors and government organisations with high quality headsets since the year 1998. These decades of experience have polished the enterprise’s expertise on the field. Headsetsonline makes sure to only choose Australian distributors and avoid grey imports in order to ensure that all of the products and solutions offered are Australian standards certified. With Australian distributors, the company is also guaranteed that all of the warranties that come along the products and solutions are applicable Australia-wide. Headsetsonline does not only ensure that quality of its products and solutions and the coverage of its warranties. It also makes sure that customers have flat shipping rates all over Australia for all deliveries.